Held twice a year in both Spring and Autumn since Spring 1957, the China Import and Export Fair, or Canton Fair, is the oldest and largest comprehensive trade fair in China. The fair includes a large varieties of exhibits as well as the largest attendance and business turnover as comparable to other fairs similar to it. Preserving its traditions, the Fair is a comprehensive and multi-functional event of international importance. The 125th Canton Fair will be held in Guangzhou China in April 2019. A Formal Hotel Reservation Confirmation Voucher will be issued, it is for your Chinese visa application. Ask for address of hotel in Chinese - this will be provided in our confirmation email to you but ask for it if we miss out. This is important as most taxi drivers in China do not speak English. 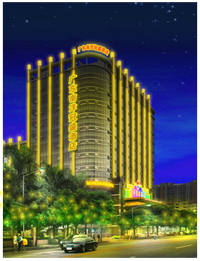 For more information on Guangzhou City, please click here Guangzhou Travel Guide. A professional team in Guangzhou mastering of all the fair related issues, Guangzhou city information and familiar with hotels in Guangzhou. We assist you choosing a hotel based on the your budget and preferences. Get your E-invitation from us Now! As an additional FREE Service, we can apply Canton Fair E-invitation for our customers who have booked hotels with us successfully. Please send us your company / personal information with your hotel reservation confirmation number. We will let you know the result of your application by email within 3 working days.